After 3 days of backpacking through Occidental Mindoro, the grand finale of our trip was unquestionably just around the corner. 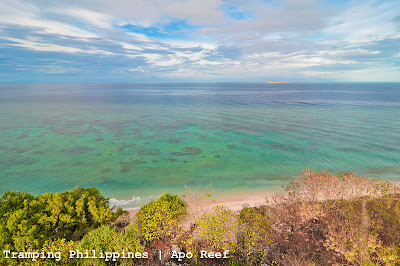 During these past few days, I thought I had fully indulged myself with whatever spectacular splendour this paradise island of Mindoro could ever offer, not knowing that Apo Reef was secretly planning to blow our minds a little bit more. Spoiler Alert: It’s the most beautiful place I’ve ever visited in my entire life. The 3-hour journey to the reef starts at the Sablayan Eco-tourism office. 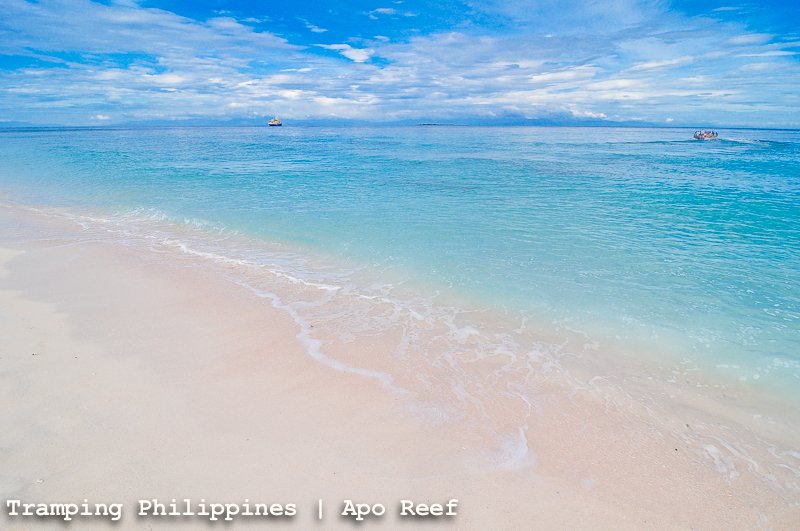 For a more straightforward itinerary to this majestic place, Sablayan Eco-tourism office would be very much willing to facilitate a comfortable journey for you. As per my experience, this is one of the best tourism offices in the Philippines. It boasts of very accommodating personnel with free Wi-Fi as well! 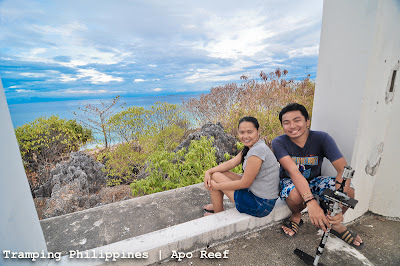 As for our sojourn, we were accompanied by Ate Helen, one of the tourism officials of the place. Being just a company of 2, we were supposed to pay a hefty price for the boat. 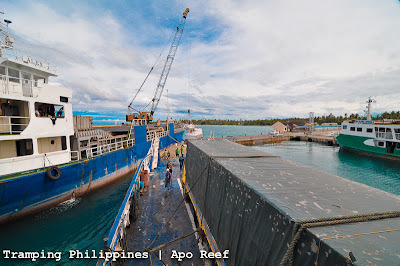 I think it was not by mere strike of luck or coincidence that on that most opportune time, the governor of North Cotabato decided to dive down this world famous reef. 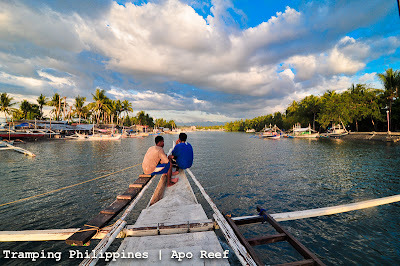 It was indeed God’s design that these two lowly backpackers, be in the company of a group with whom they could hitch a boat ride. 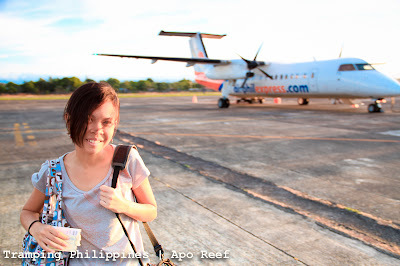 Finally, the journey to my 2nd and Agnes' 3rd of the 3 Apos of the Philippines began. The trip ominously started with grey skies floating above our heads. 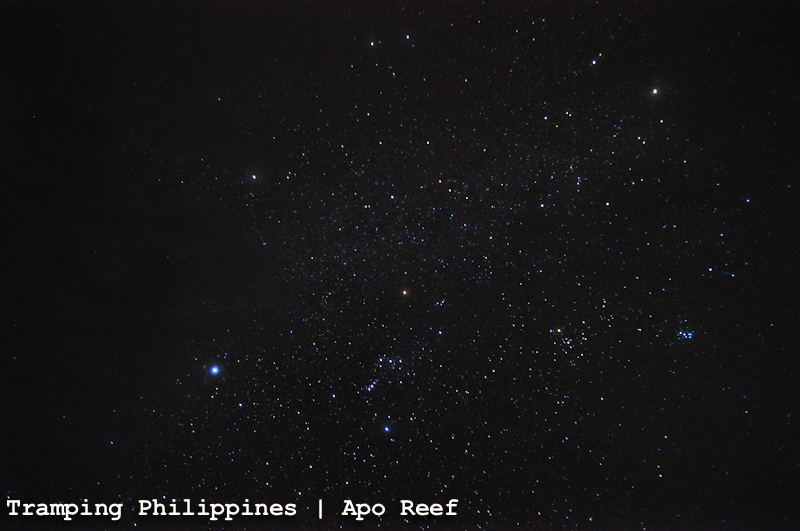 It was quite intimidating at times but as we inched closer and closer to the reef, the hint of blue started to overpower the dark clouds above. 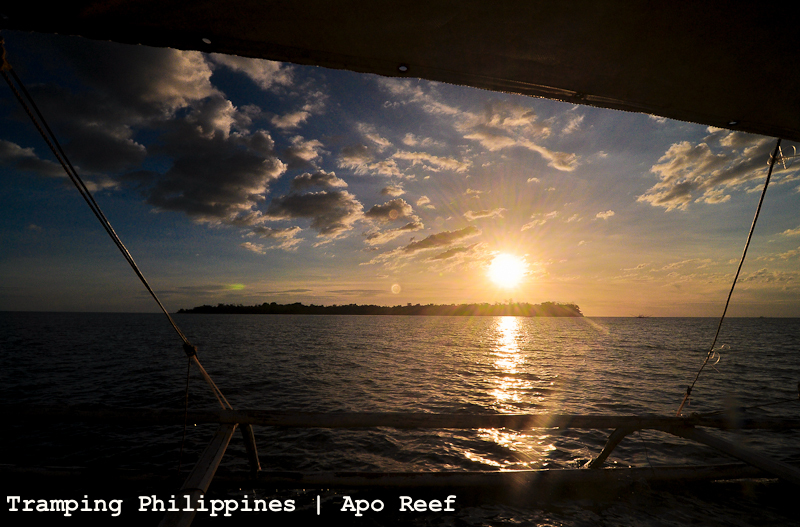 As if a grand way of welcoming us, the elusive sun rays pointed directly at the small island. My mouth was almost open the whole time we were docking. After sailing on bleak waters for 3 hours, like the 3 kings in search of the manger, we looked in awe as we touched the white sands of the virgin beach of Apo Reef. Standing firmly and staring blankly at the deep blue waters, I was so moved yet so speechless for 5 minutes. I was in total shock. I never expected the place to be this beautiful. Fortunately, the heat of the sands burning under my feet took me away from my lucid dream just in time for us to register. We readily pitched our tent beside the camp of the Governor. We were lucky enough to have them as company. But fortune really moves in mysterious ways: Ate Helen gave us additional food from the Governor’s camp. What a pleasant treat to start a wonderful adventure! 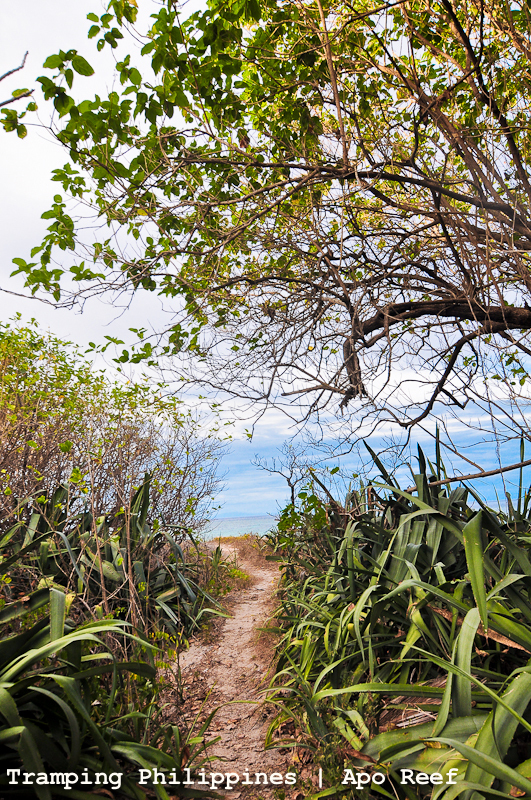 After the invigorating meal, we decided to roam around the beach. Although we were aware of the fact that nothing would be able to replicate the grandeur of the place, we nonetheless took all the pictures we could, taking shots from all the angles we perceived could ably capture its real charm. 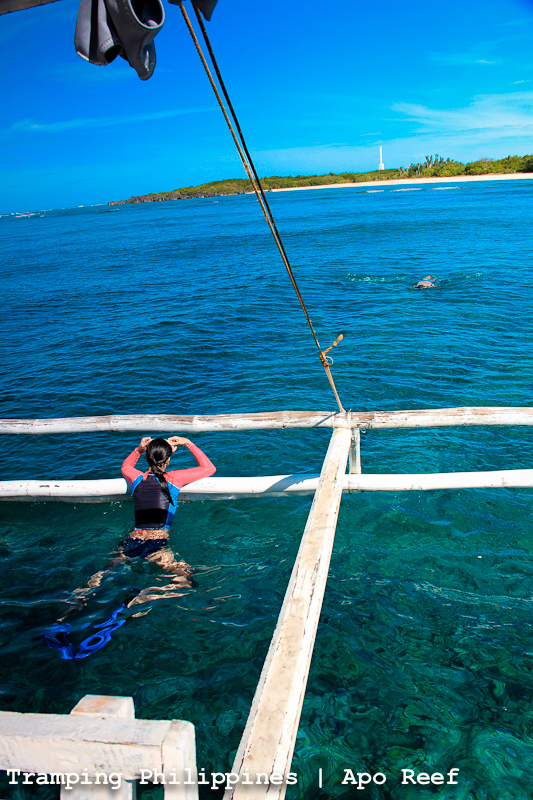 The reef was definitely mesmerizing beyond words. 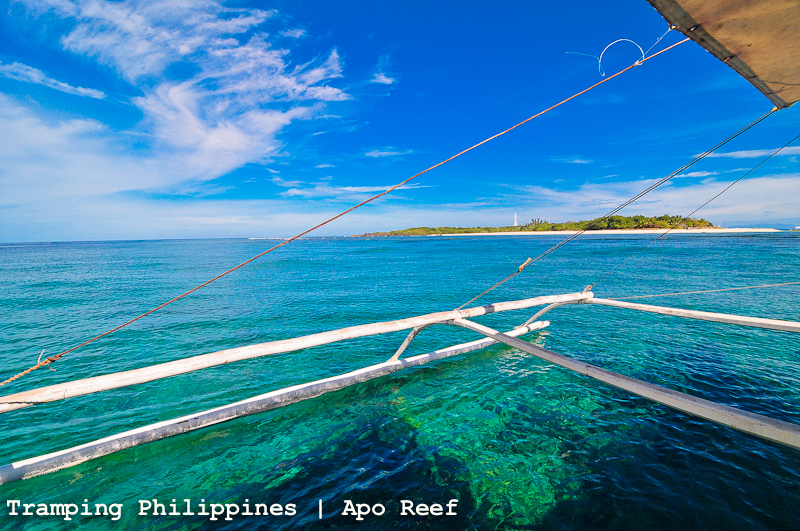 We took a dip on its clear waters enveloped by the blue skies above. 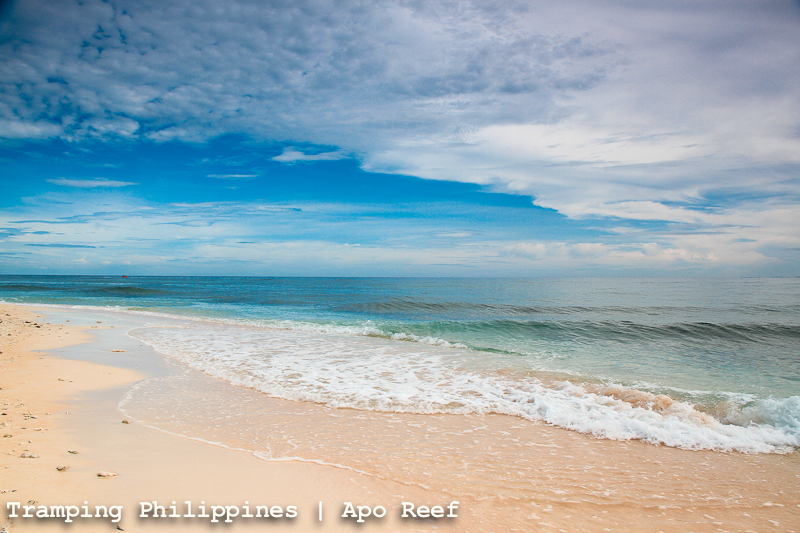 Weather forecasts predicted a cloudy afternoon but Apo Reef took a different route. With luck always following us, the sun never went out of sight until the horizon covered its rays. 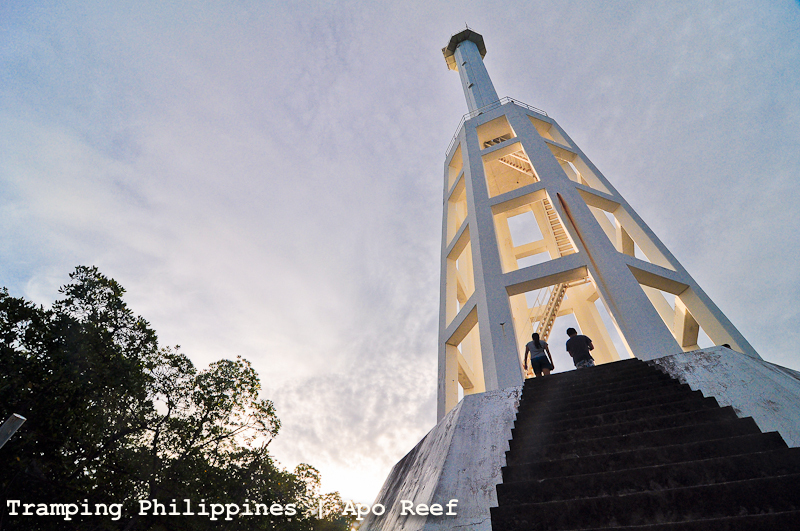 Before sundown however, Ate Helen brought us to the towering lighthouse of the island. I never really thought anything about the structure but as I was climbing the steep staircase of the edifice, I was for the nth time caught off guard by the majestic view that instantly flooded my sight. If truth be told, I have this secret fear of heights since I was a child; the very reason why I started climbing was just to conquer it. I’ve been on top of Mt. Apo and other high peaks but after what seemed to be a lifetime, this was the first time that I once again felt butterflies in my stomach as I looked down from above with visibly trembling feet. It was a frightening experience indeed but after 10 minutes of getting used to climbing the unusually steep staircase, I was back to my old inapprehensive self. I was again enjoying the ascent. 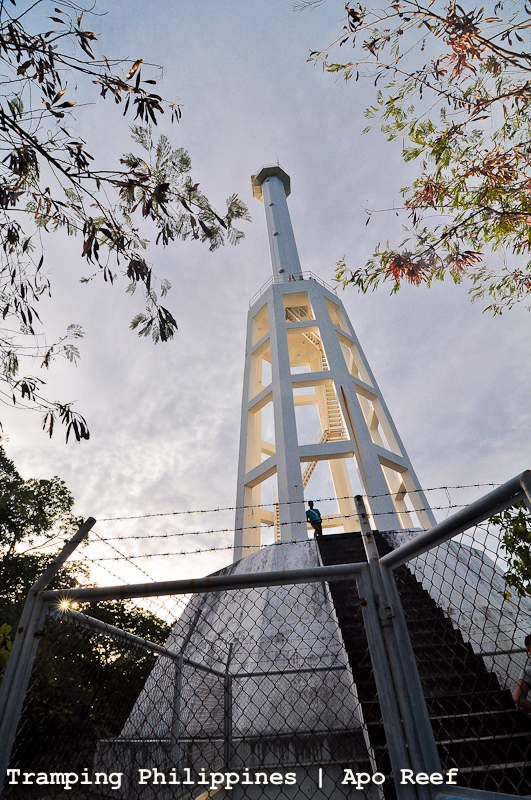 This was the first time I climbed atop a “parola” and what a first time it was. I climbed on top of multiple mountains in the Philippines but seeing this island from atop was a uniquely diverse experience. The sun was setting as we reached the top of the platform. I was superbly stunned by the mantle of beauty wrapping up the whole area. On top of this island, I was blown by how elegant nature really is. 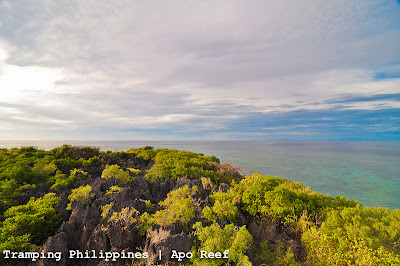 Circling around the viewpoint, the entire vicinity was visible: the sight of the reef and the blue-green waters of the sea, the fresh-water lagoon encircled by Mangrove forests, the spectacular limestone formations that surround the island. 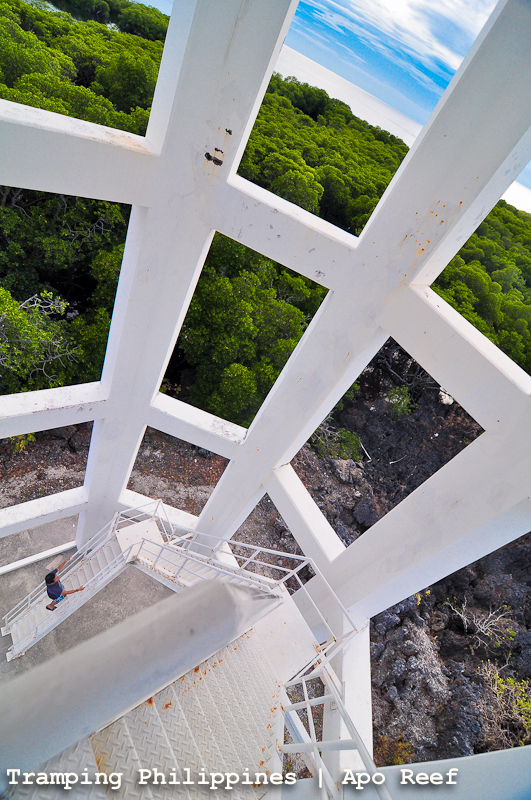 This eagle’s eye vista truly gave us a different perspective of the whole place. We stayed a little bit longer than usual at the viewpoint: taking photos and savouring the exquisite splendour unfolded before us. 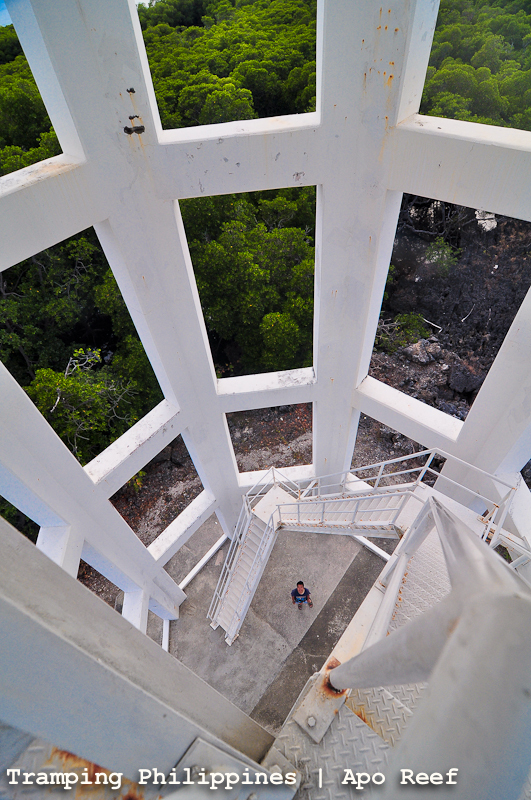 I was really elated having climbed my first lighthouse at a very beautiful place. Now I know why Ivan, author of Batang Lakwatsero, has a “Parola” series in his blog. It really is an awesome structure that gives you majestic views from a different vantage point. As the sun was waving its goodbye, we started our descent. We were about to prepare our meal but Ate Helen once more took care of the cooking. 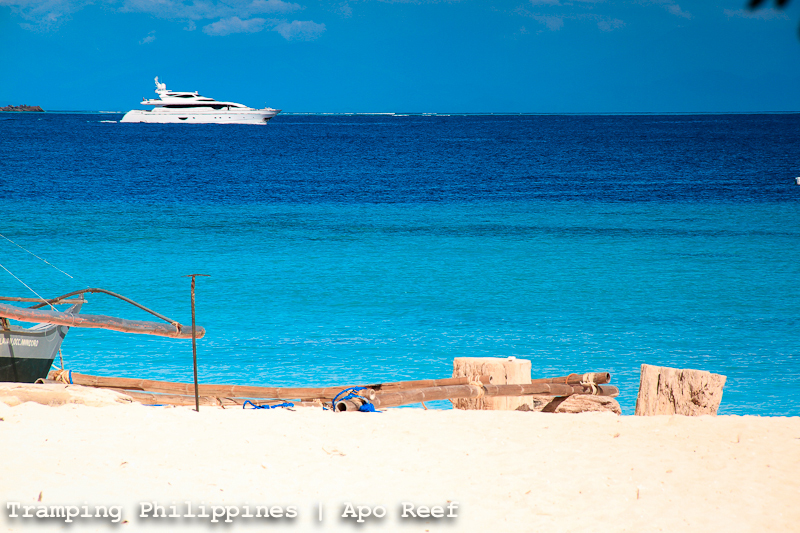 We were treated like honorable guests vacationing in one luxurious island. They served our dinner at the center of the reception hall, back dropped by the sun setting down the horizon complimented by the multi-colored sky. It was the best dinner one can ever have. We thought it proper to share the sumptuous dinner with the locals who were responsible for giving us this feast. 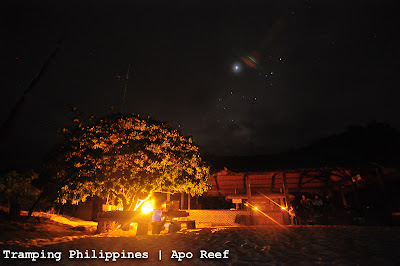 We stayed at the beach gazing at the stars. Weather forecast foretold clouds hovering around for the next few days. 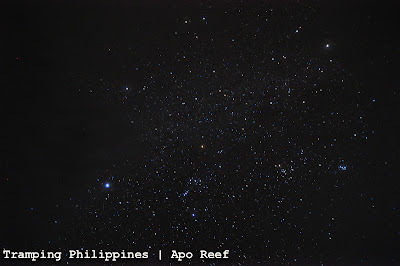 Erroneous as they used to be, this night had the most star studded sky I had ever gazed upon. 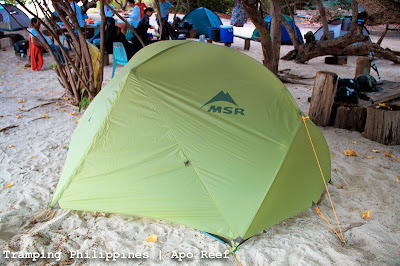 After an hour, the pull of our tent was too much to ignore, thus we decided to end our adventurous 1st day at this alluring and stunning piece of God’s work. 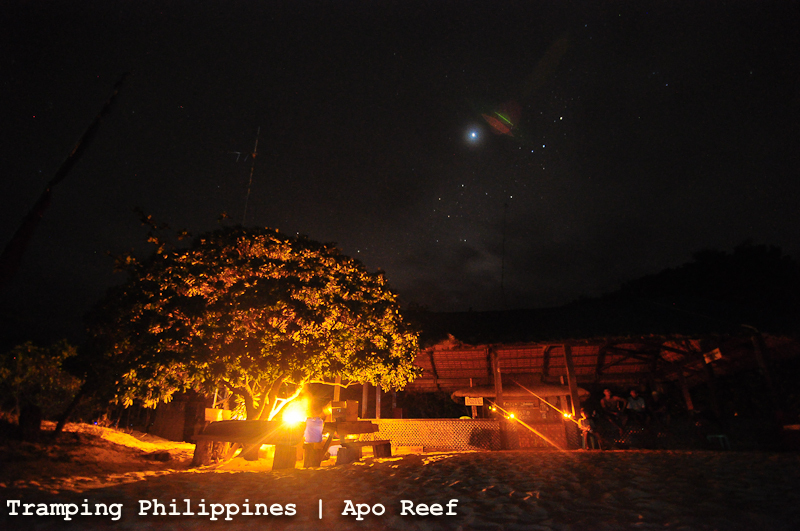 Apo reef bid goodnight in a very peaceful manner. At the first hint of daylight, I went out of our tent expecting cloud cover. 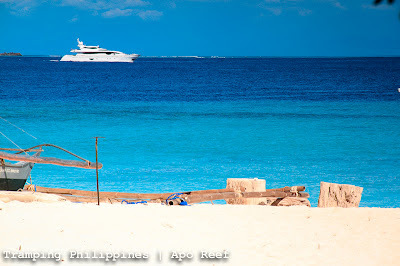 But as I unzipped the flap of our temporary abode, the color blue dominated the sun lit virgin white sand beach. The sun was searing hot but it was such a blessing. After praying hard for a good weather, I was actually ecstatic how the way things turned out. 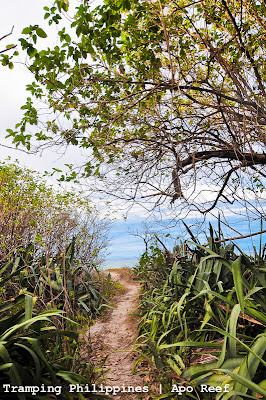 We ate fruits for breakfast and once again roamed around the beach for other interesting photo opportunities at the other side of the island. I saw different kinds of limestone formations constantly pounded by the rock-battering waves of the open sea. 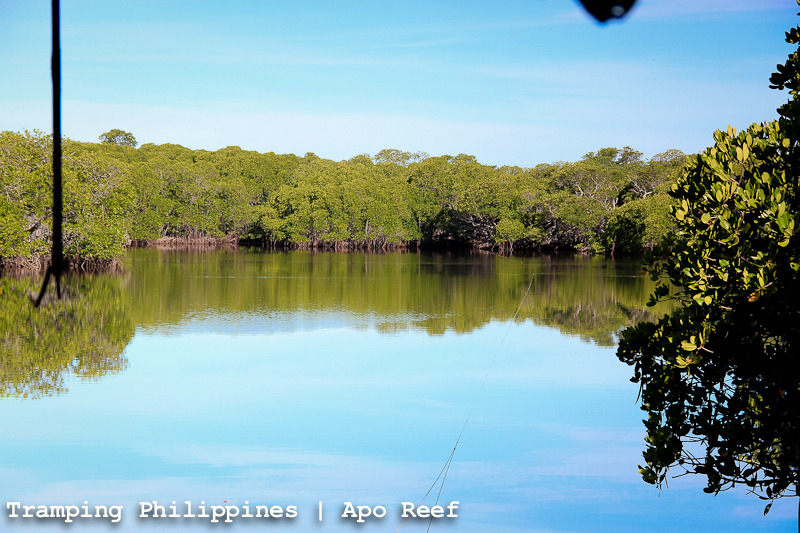 After the fruitilicous meal, Ate Helen toured us through the mangrove-covered fresh water lagoon of the island. The hike was a somewhat precarious considering that the bamboo foot-bridge was rather worn out by either age or countless traverse on it or both but the enticing sight of the lake was reason enough to endure the 5-minute balancing act. The lake was a revelation. It was so calm that it mirrors everything that sits on top of it. 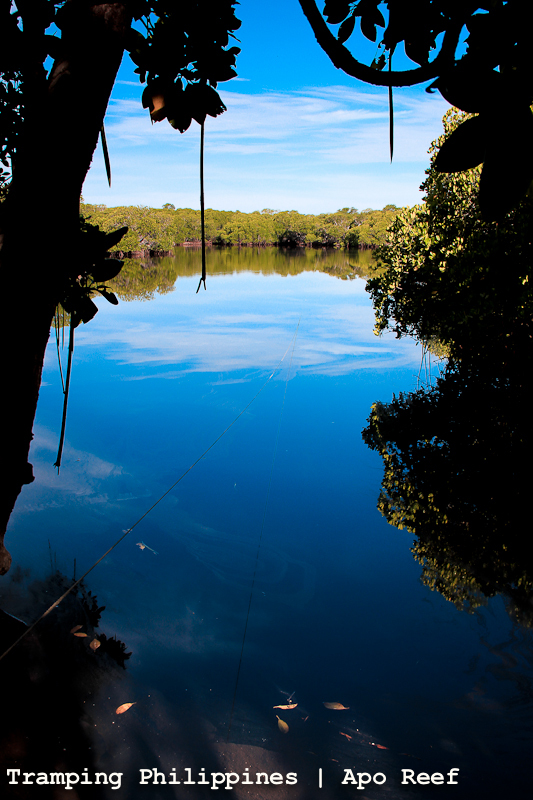 Having a blue sky was a bonus as the calm freshwater mirrored the color. It was reminiscent of Mt. Apo’s lake Venado. 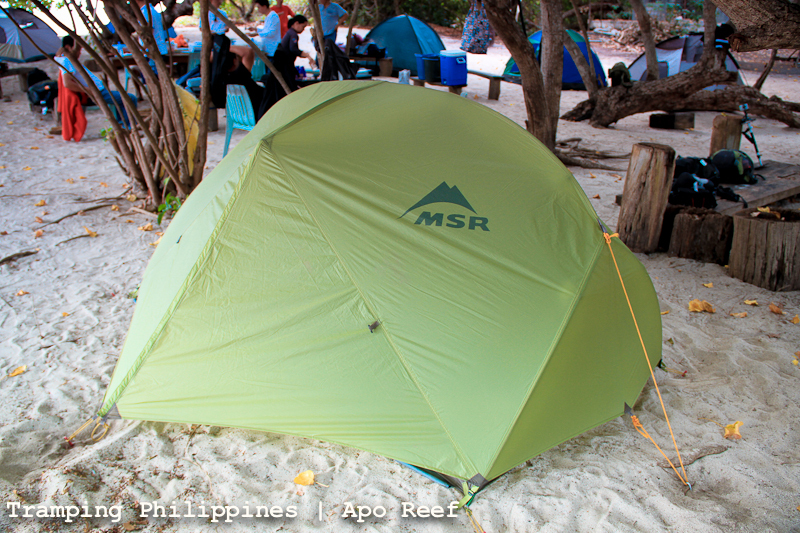 We went back to our camp primed to return to Sablayan mainland but ate Helen convinced us to come with other groups for snorkelling. 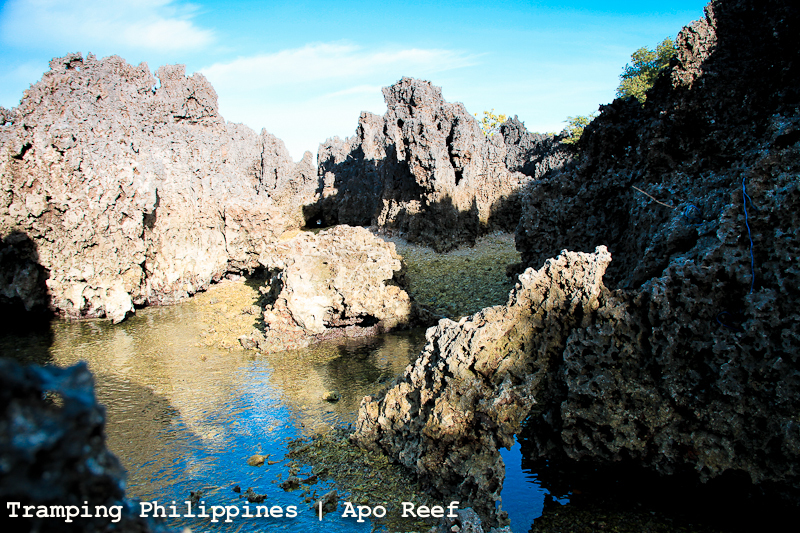 We extended our stay for 3 hours and had an awesome time swimming with the different kinds of marine life Apo reef offered. I saw schools of fish swimming in circles for the first time in my life. One of the boatmen even told me to dive closer but as I was about 15 feet submerged, I sensed my lungs giving up and I had to swim back to sea level. I consider it as the deepest I’ve ever free dived. The divers in the group saw plenty of creatures including sea turtles, schools of fish and even a reef shark. 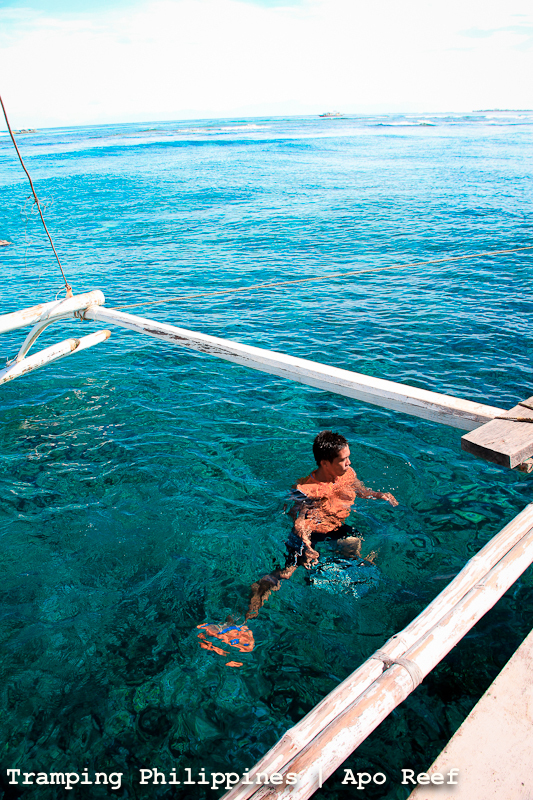 We were very much envious but woefully, the budget we had was not enough even for an intro dive. 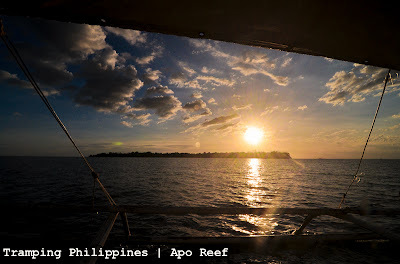 We ended the reef tour and went back to our place. 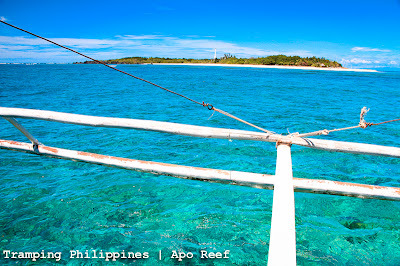 We broke camp and swiftly went on a 3-hour boat ride back to Sablayan mainland. It was a bittersweet departure from one of the best places I’ve visited. We waved goodbye to Apo Reef promising to come back before 2012 ends, hoping by that time, we would finally experience the underwater majesty it has. 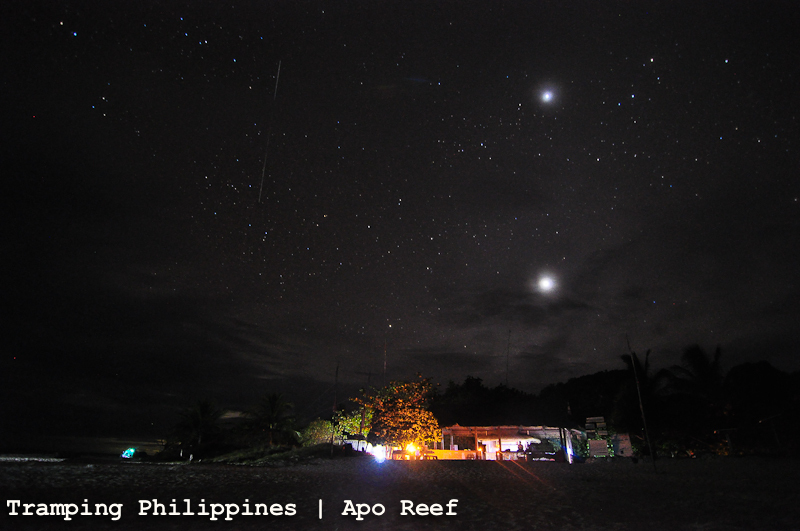 What I experienced in this Occidental Mindoro backpacking trip were shock and awe. I never really underestimated the beauty of the place but the expectation I had was much lower than what it had actually offered. 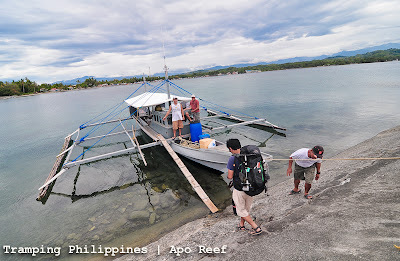 It was ultimately a nice 5-day backpacking trip through one of the most beautiful places in the Philippines peopled by the friendliest locals we have ever met, courtesy of the best tourism office a town could ever have. If I consider Palawan as my number 1 destination, Occidental Mindoro definitely must be my number 1A. 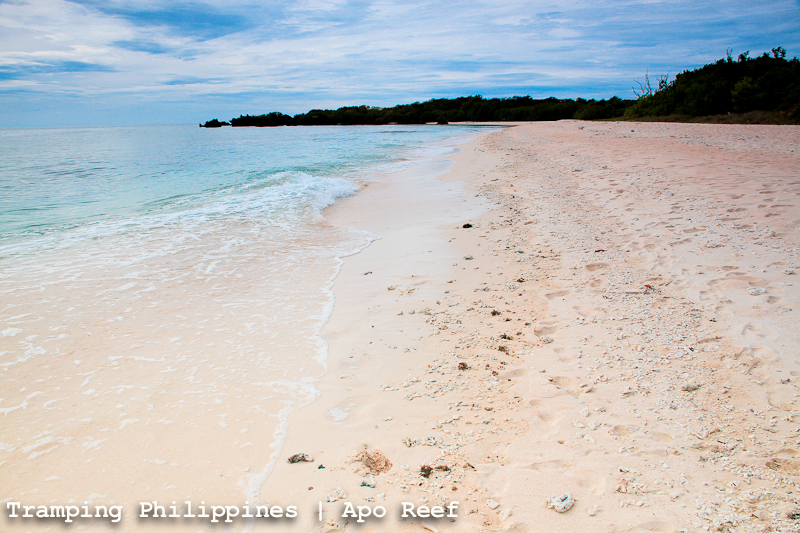 *because I love Apo Reef so much, I'll be posting additional photos for all of you to gaze upon. How to get to Apo Reef. 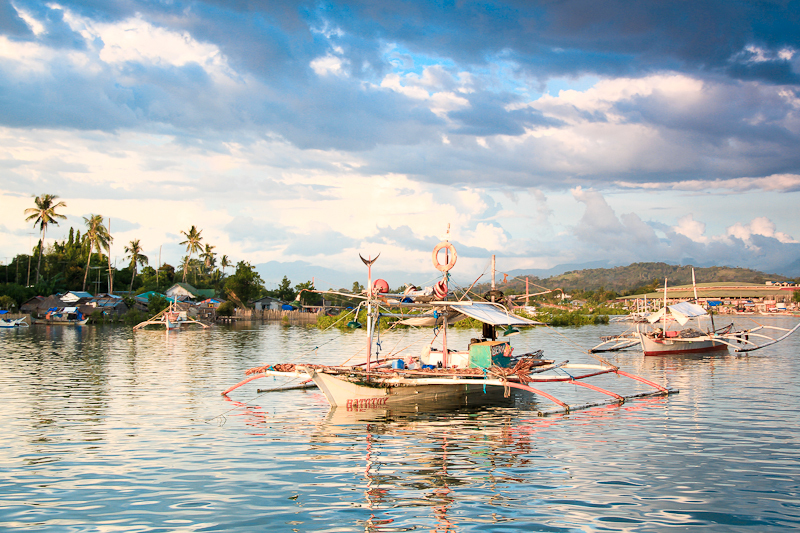 Daily flights from Manila to San Jose are serviced by Cebu Pacific, Air Phil Express and Zest Air. From San Jose, board a tricycle to take you to Dimple Express Terminal for Air-conditioned Buses. 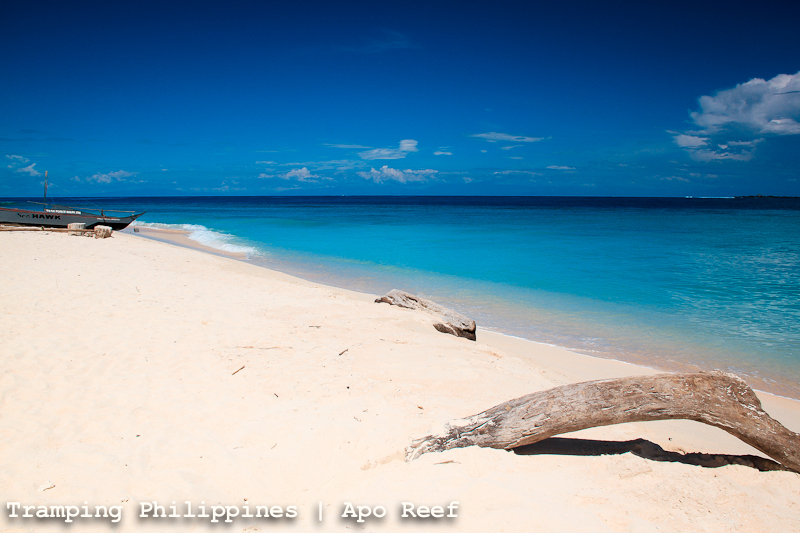 A two to three hour long travel will take you to Sablayan. 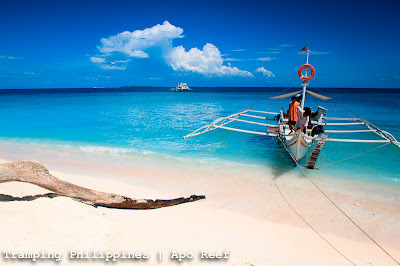 You can also hire a van from San Jose to Sablayan. When at Sablayan, board a tricycle to take you the Sablayan Eco-Tourism Office and they will take care of EVERYTHING except for food and water. Tip: Tricycle costs 10 pesos per person only. Don't ask, just pay. They will charge you 100 pesos if you did. 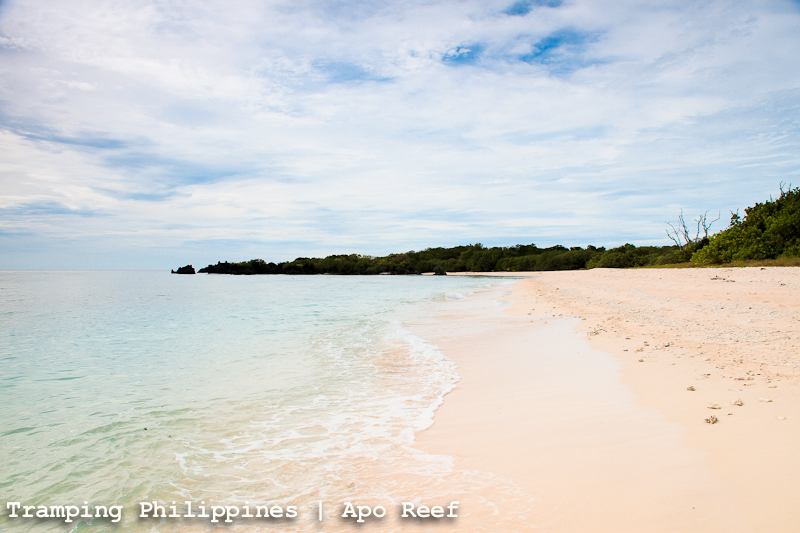 From Metro Manila, an air-conditioned bus to Sablayan (via Ro-Ro ferries) takes a comfortable eight hours. *We would like to thank Ate Helen of the Sablayan Eco-tourism office for guiding us and touring us all throughout our stay at Apo Reef. Thank you so much for the magnificent company you gave us. ang ganda pala dyan sa apo reef, love your photos! dane, keep posting beautiful pictures, para na rin akong nakarating dyan. at na-mention pa ako.. hehe. 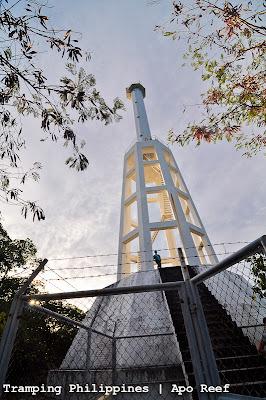 maganda tlga ang mga lighthouse! kaya lang hndi sakop ng series ko ang lighthouse ng Apo reef, bago na kasi yan e.
mas kakaiba ang feeling kpag old spanish lighthouse ang pinasok mo, may mystical feeling na medyo nakakakilabot at nakakamangha at the same time. i was like "whoa philippines" ! the slow mo effect made it more attractive! 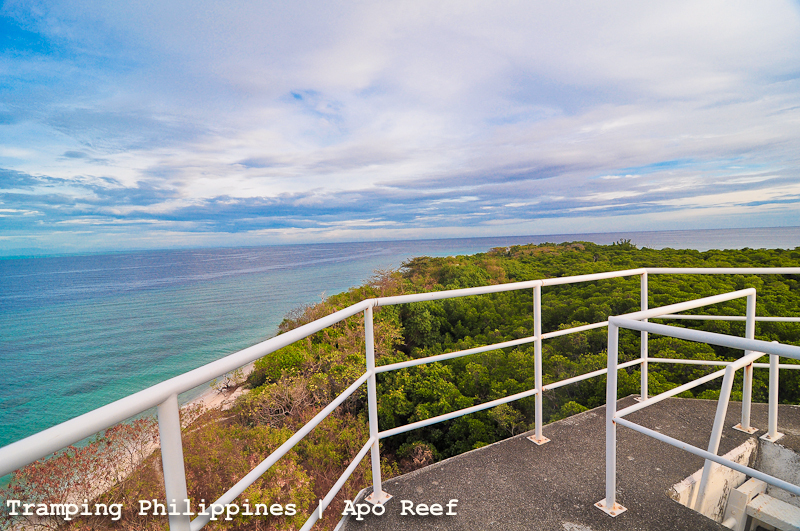 namiss ko naman ang Apo Reef! 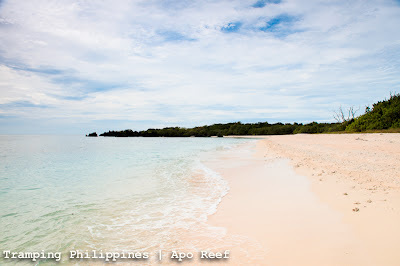 i was there 2 or 3 years ago...di pa rin sya nagbabago sing ganda pa rin. 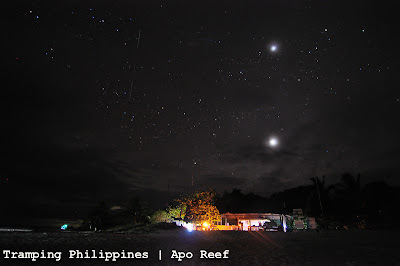 I like the night scapes naks! tsk tsk. regrets kasi di ako nakapunta dito nong nag sablayan kami last feb! breathtaking pala talaga. Balik ka nalang Elal! hehe. tas balikan mo din ang San Jose. isa pa un breathtaking din. hehe. 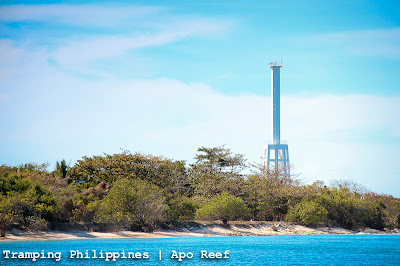 Ang ganda talaga sa APO REEF.. kaso nasira ang camera ko nung trip namin dyan..hahaha!!! Melai - yes yes, you really should be proud of your province! Haven't been there! 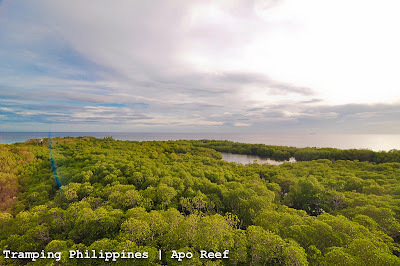 gusto ko rin makita yung ganda ng apo reef at sablayan island. magkano po kaya yung approximate budget sa ganitong trip? Budget here depends on how many persons you have on the trip. 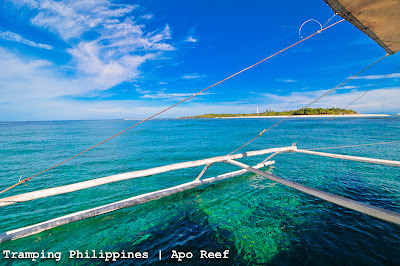 The boat ride to the reef costs 7500 pesos maximum 15 heads. 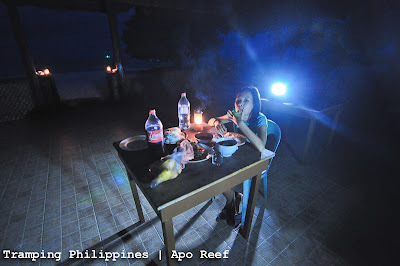 Then food again depends on the group as you'll be the one to prepare you own at the island. as for our stay. we were very fortunate that we were able to hitch a ride with a group of divers. we were supposed to pay 7500 for just the 2 of us but it was cut to much much much lower price. as always your blogs are informative and a great help not only for the future tourist but also helping our tourism to the rest of the world. good pictures really tells a lot of story. ang gnda tlga ng lugar. Yep. super ganda talaga ng place. Parang super untouched. At buti nakisama ang weather kaya ang perfect ng background para sa mga shots. Thanks!! talagang occidental mindoro showcase na ito. maraming salamat po muli! I hope this sparks more interest of the place. It's a gem. I am so happy it's featured here! 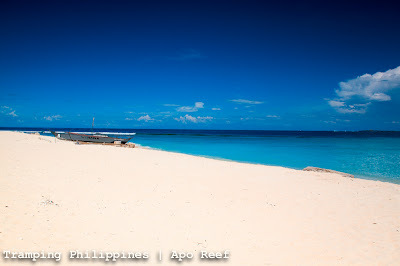 Me and 3 friends would love to go to Apo Reef in January 2013. 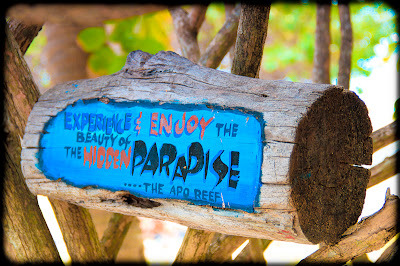 We are thinking of booking at EcoTourism Sablayan as well. Can you maybe tell us a bit more about the costs? The boat was 7500p. Is that return or one-way? From Sablayan? How much was the overnight stay at Apo Island? 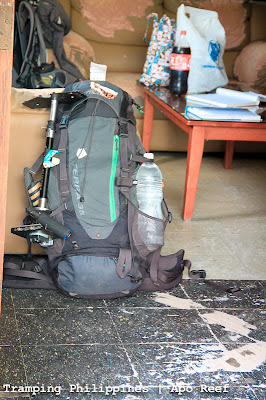 Do you need to bring your own food and water? How about diving. 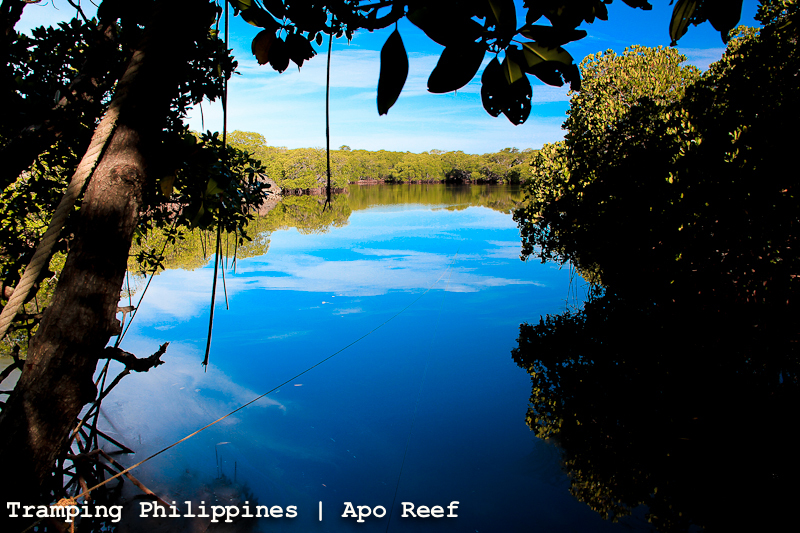 What were the costs of diving when booked with EcoTourism? 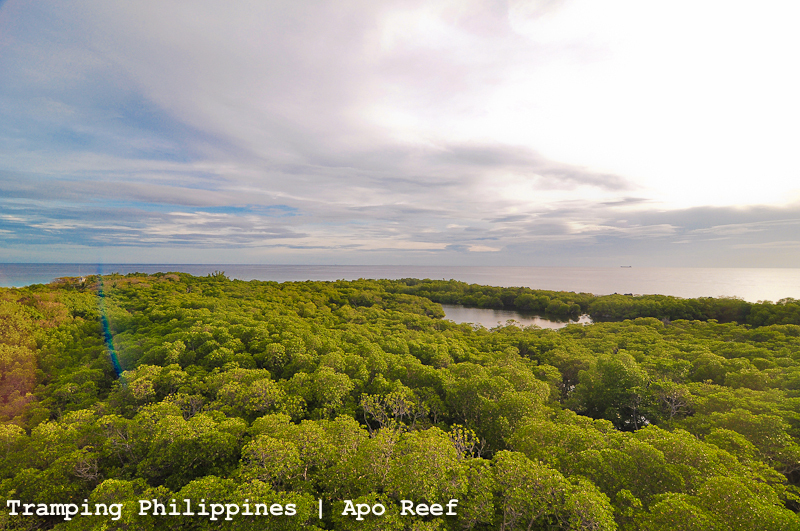 Do you happen to have a contact number or email of EcoTourism? They are not responding to the Facebook message I sent a while ago. Hope you can help us out!! You can txt/call +639284659585 for further inquiries. 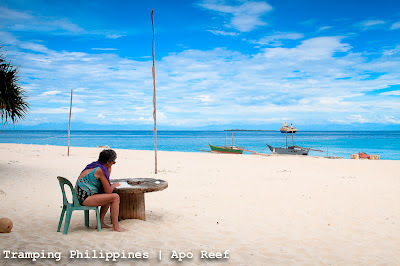 This is the number of one of the tourism officers in Sablayan. 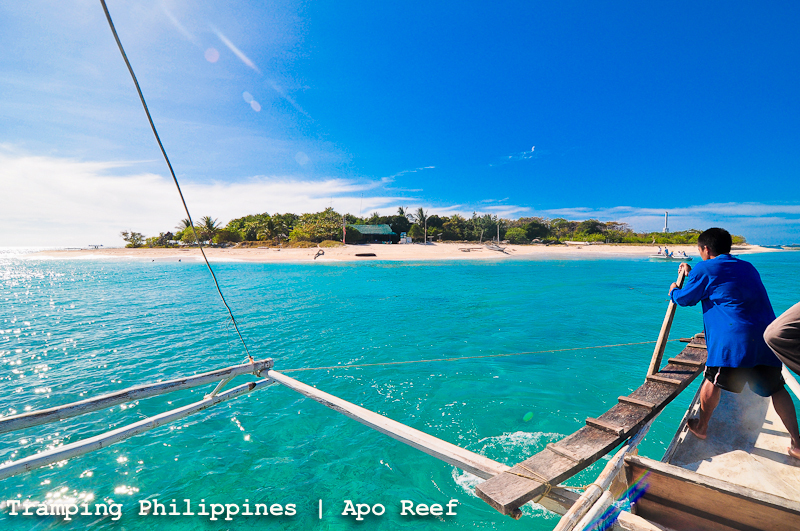 The boat rate is to and from apo reef for an overnight stay. Then you'll pay i think 300 pesos for the overnight stay at the island. You also need to bring your own food and water. Also there's no fresh water in the island even for shower etc. If you've contacted the number above, please ask for other fees that maybe i've missed out. I'm not sure about the diving rates, just ask the tourism officer about it. They're really friendly and helpful. Hope this helps. Thanks a lot! Sana makasabay din namin si Gov o kahit si Konsehal lang para libre din boat fare namin, tatlo lang kasi kami eh. thank you for posting this! 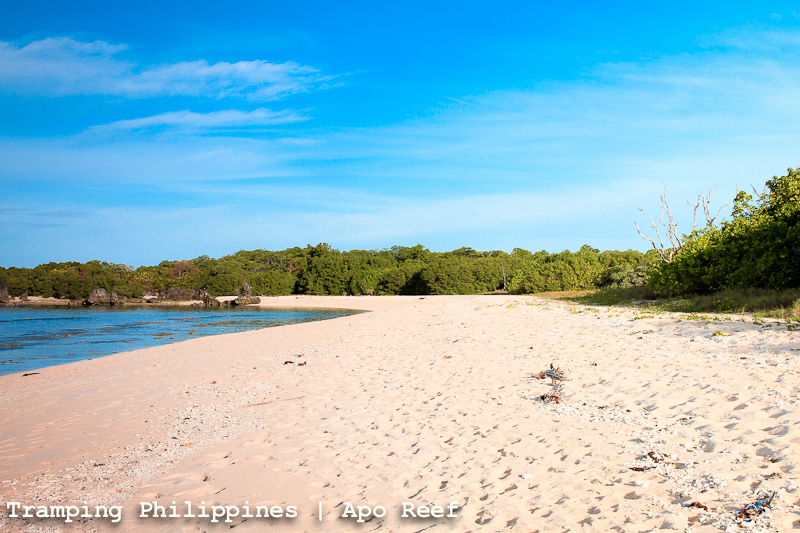 having been born and raised in Occidental mindoro, i 've taken for granted the beauty of the island. i've been to the beaches of mexico and hawaii and although they're beautiful, they're far too touristy. we're planning a trip back to the philippines and this gets me really excited to go back and visit the places i have yet to explore or places i have been to but didn't get to appreciate back then. 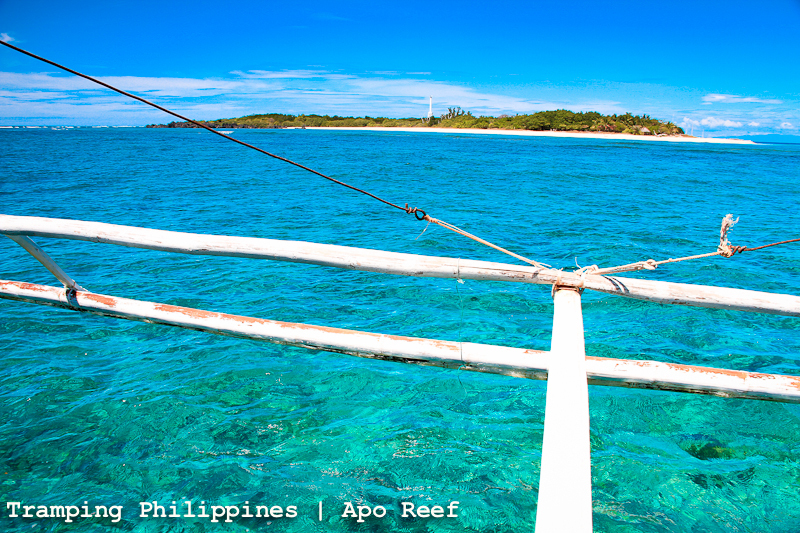 Hi, thank you for sharing your wonderful experience in #AmazingSablayan (Apo Reef Island). It really helps us in promoting the real underwater paradise Apo Reef. We have already posted this article to AmazingSablayan Official FB Page.